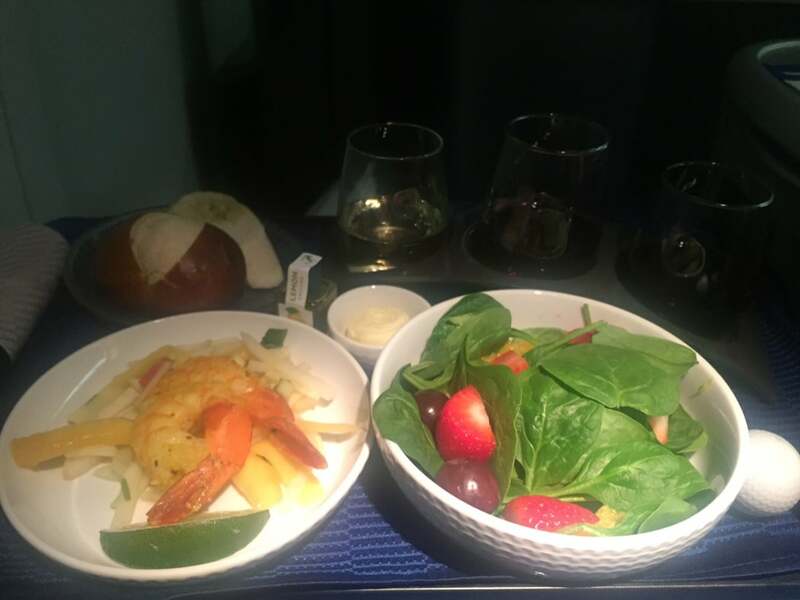 In this trip report I review the Polaris 777-200 business class cabin (there are 3 biz cabins on this plane) EWR to GRU. 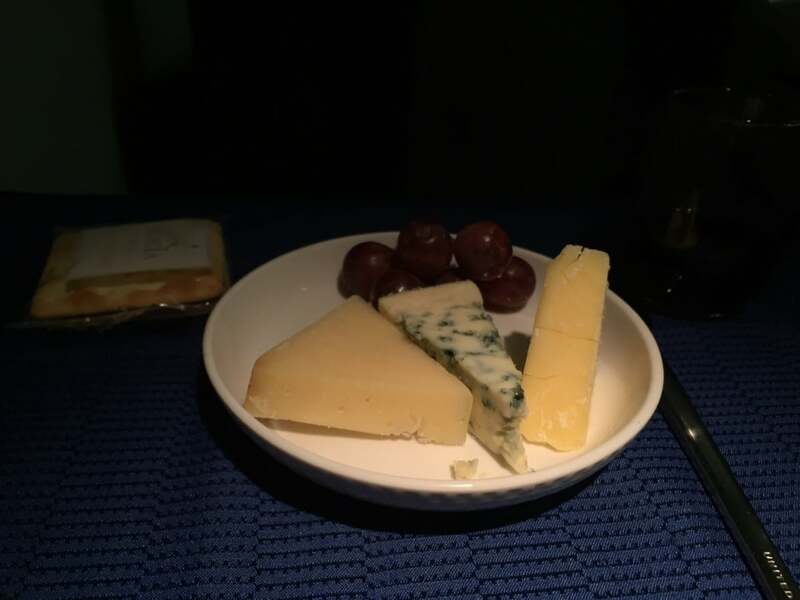 I have already reviewed United Polaris Business Class on the 787 Dreamliner and you can also read my flight review of United Polaris in First Class. United’s Newark Terminal C doesn’t yet have a dedicated Polaris lounge, however one is being constructed where the current large United Club is housed near gate C120, and is expected to open by the end of 2017. 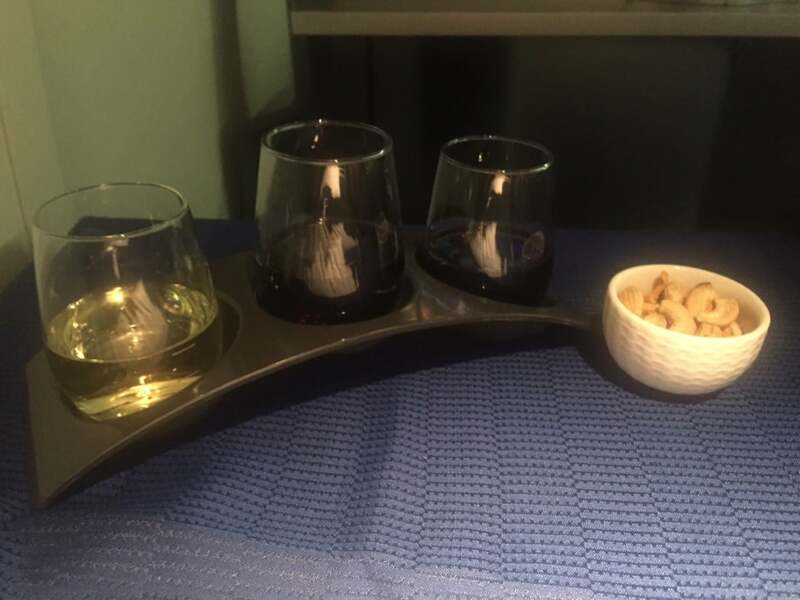 Once open, The Polaris lounge will offer table side meal service, top shelf liquor, nap rooms, and shower suites. Chicago already has a Polaris lounge, and another will open in San Francisco by the end of 2017. 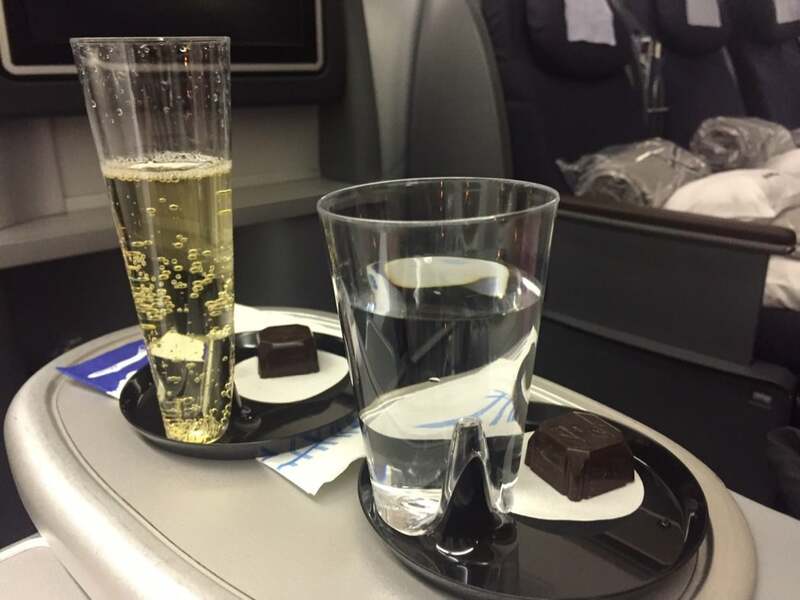 United operates two different B777-200 aircraft; one in a 2 cabin configuration with seats 2X2X2 in Business Class, and another in a 3 cabin configuration with seats 2X4X2 in Business Class. Neither of these yet have the Polaris seats, which aren’t expected to launch on the B777-200 until early 2018. In the 3 cabin configuration, personal storage is quite limited, with no cubbyholes in the seat itself, and a small shelf under the entertainment screen. Seats are well cushioned, but the layout is 10 years old and lacking much privacy, especially in the 4 abreast center section. There is a mini-cabin just after First Class with only two rows, and any aisle or window seat in this cabin is good. Seats in row 7, the second row, are closer to the galley and the noise it creates. Seats alternate facing backward and forward, so beware if you are sensitive to that. The worst seats are in Row 8, which is directly adjacent to lavatories on either side of the cabin, especially if you are in an aisle seat. The meal service begins with a small salad and appetizer, served together on a tray. This is probably the most underwhelming part of the Polaris service. Greens are fresh, and the appetizer of Thai lemongrass shrimp has some kick, but the presentation is bland. 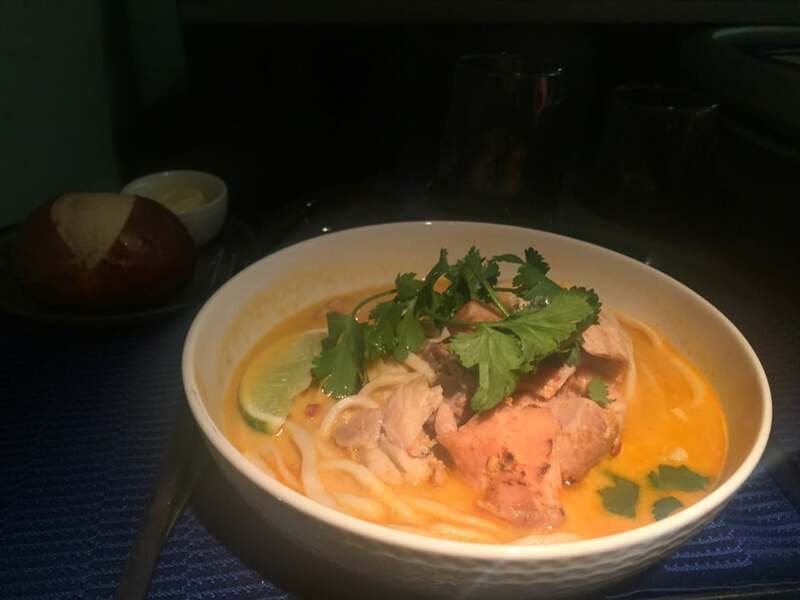 The main course is the highlight of Polaris, with a choice of 5 mains on this particular flight, including a hearty and delicious Asian Fusion Chicken Soup with Thai coconut ginger cream and enough Korean-inspired chicken to make it a main. 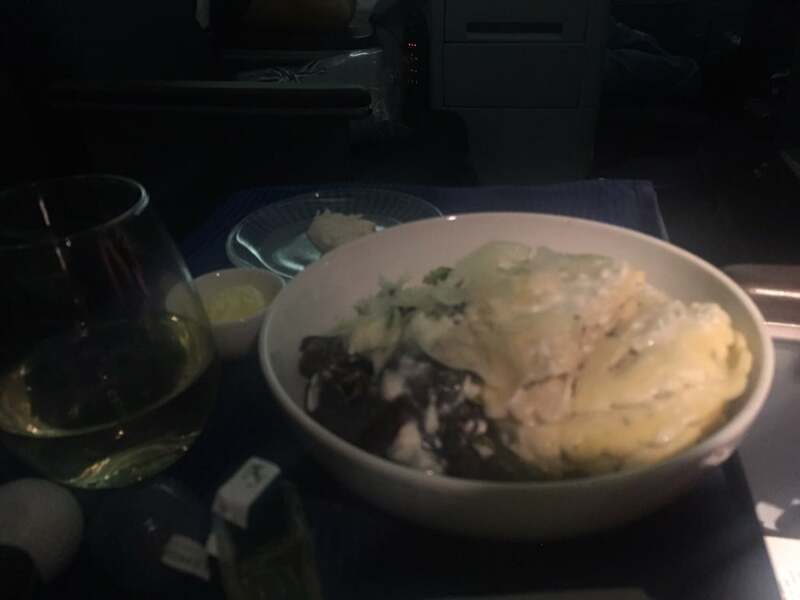 Another option, the Portobello and Caramelized Onion Ravioli was rich with a restaurant quality sauce, though as is typical with airplane food, the pasta was a bit overdone. 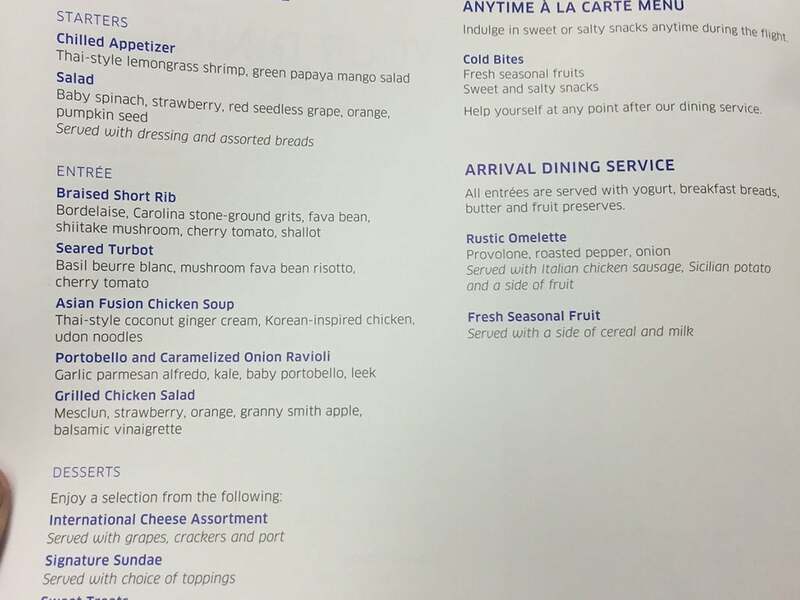 United’s main course portions are larger and more filling than typical business class mains. 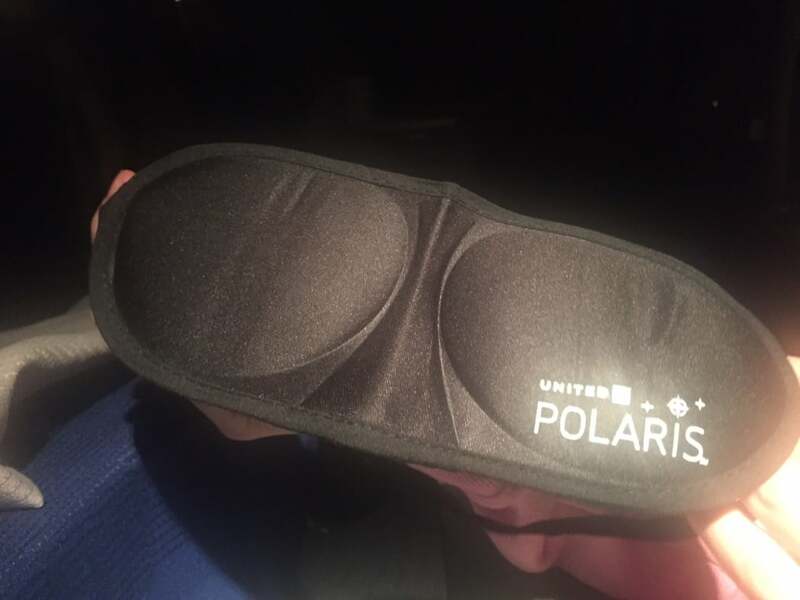 United’s Polaris concept loads the seat with a down duvet, wool blanket, and two pillows – one small and large. 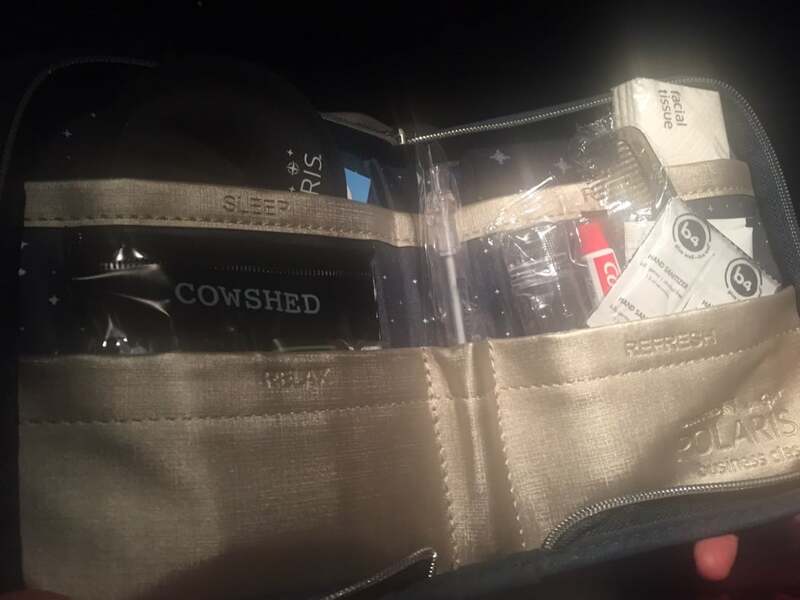 While very comfortable, it can be overwhelming to store, and many passengers end up stuffing these items in the overhead bin. A mattress pad is available upon request, but a limited number are catered, so be sure to ask early if it matter to you. There’s also a unique blue cooling gel memory foam pillow available, also in limited supply and a favourite of the crews. 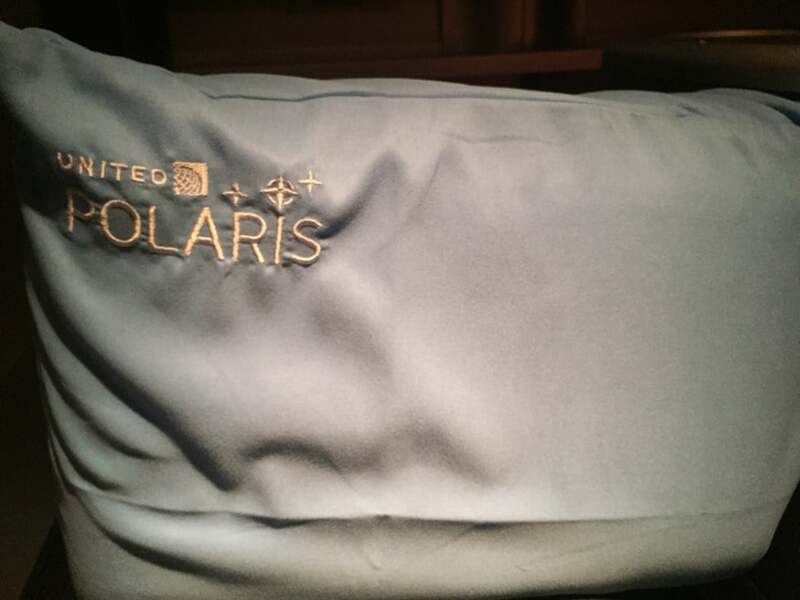 It’s difficult to place all the Polaris bedding elements on a seat unless you’re in an aisle. But once you do, it makes for a very soft, comfortable, and warm environment that’s uniquely Polaris, and makes up somewhat for the dated seating. 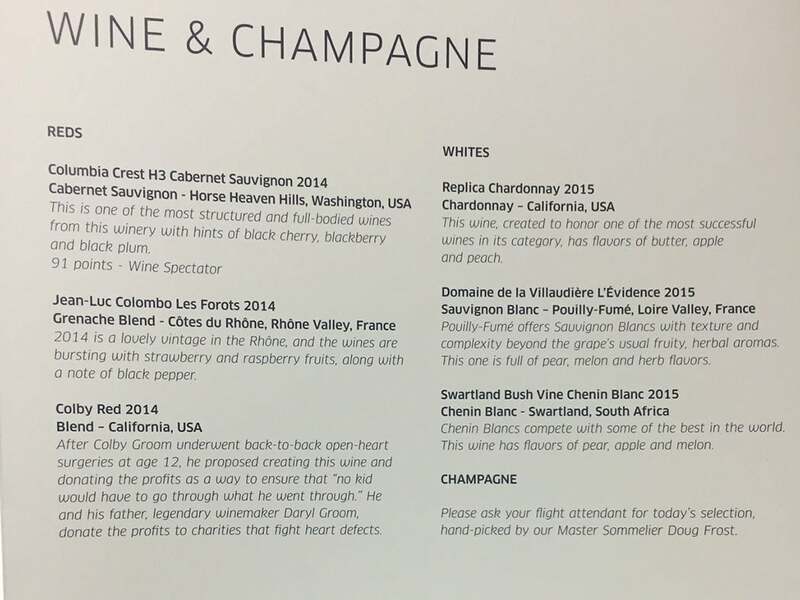 United launched its new Polaris Business Class in December 2016, replacing their BusinessFirst; and Polaris First replacing Global First cabins. 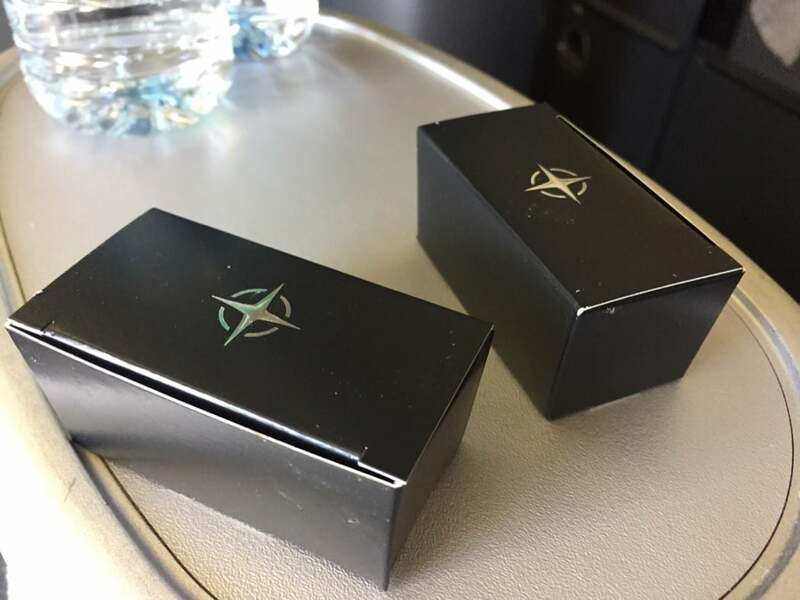 United Polaris Business is comparable to Delta One and American Airlines Super Diamond Business Class, which both launched several years ago. 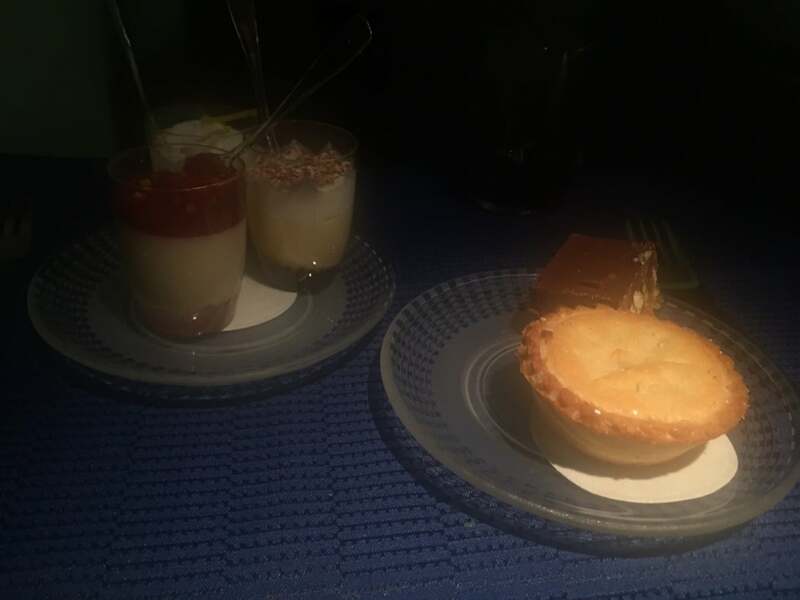 I discuss which American Airline Business Suite is best separately. 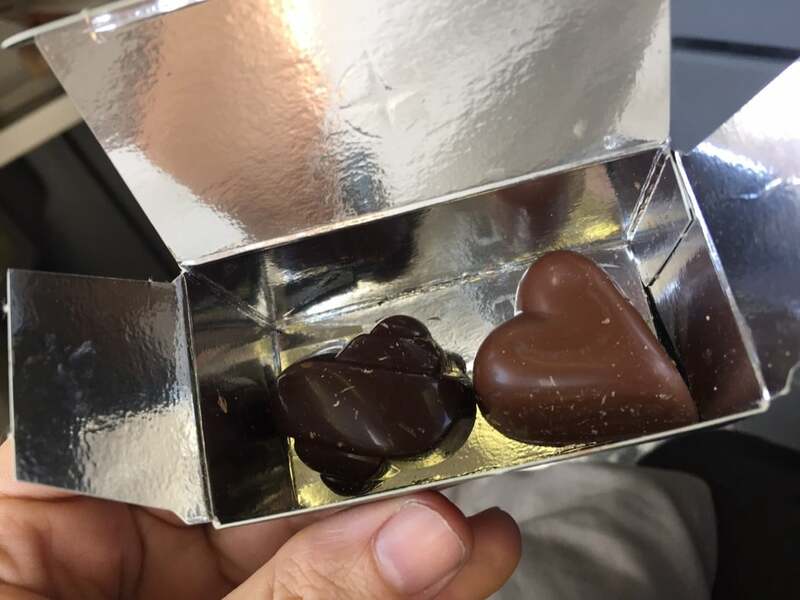 This review was written by our friends at MileCards.com.